The top of the front segment (carapace) has 3 pale and 2 dark horizontal stripes. 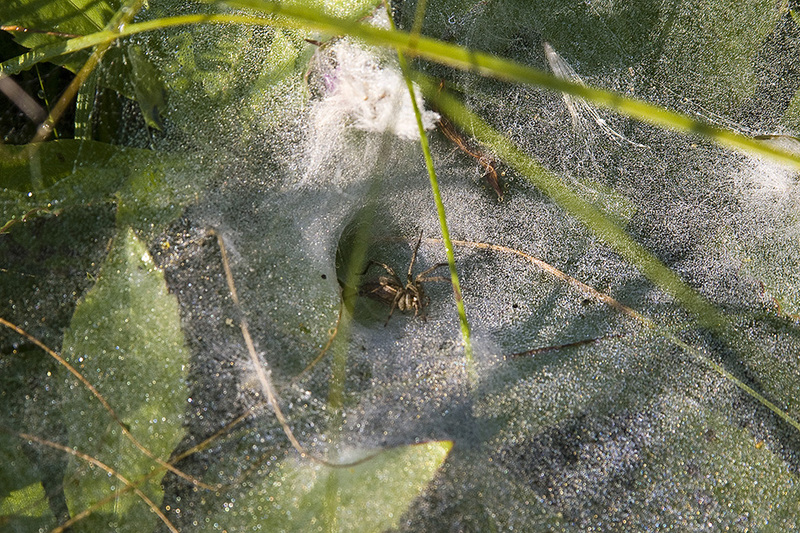 Like other funnel-web spiders, the spinnerets extend well beyond the end of the rear segment (abdomen), and are visible from above. 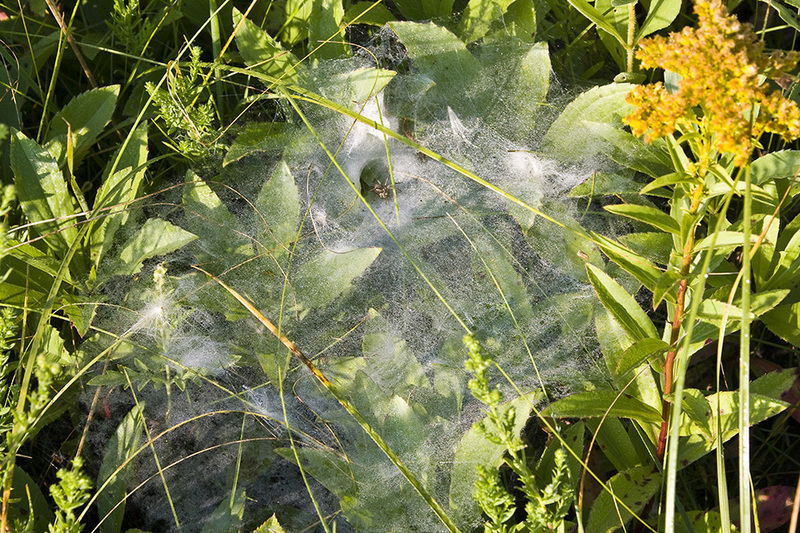 The web is a horizontal, non-sticky sheet with a funnel near one edge. On spiders, the top of the cephalothorax. 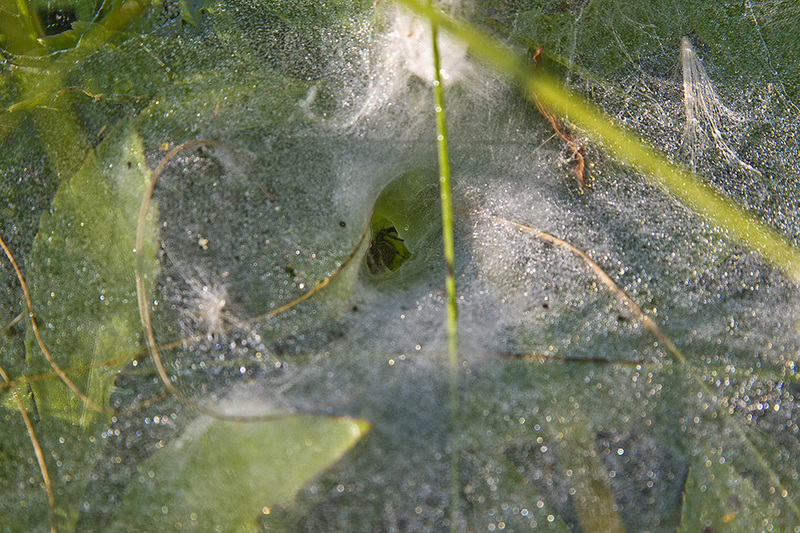 The front part of a spider’s body, composed of the head region and the thoracic area. Eyes, legs, and antennae are attached to this part.